From the blockbuster Justice League, movie comes The Flash as a 8-ction Action Figure! 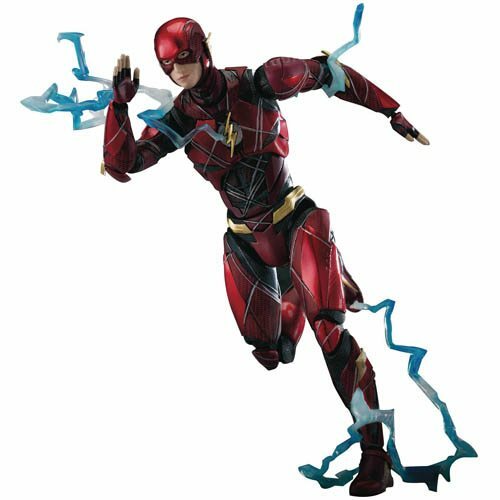 The Justice League Movie Flash DAH-0068-ction Action Figure - Previews Exclusive was created using official references and scanned 3D images of the actor Ezra Miller. The action figure stands approximately 8-inches tall with 30 points of articulation. The figure comes with effects components and replaceable palms for freestyle assembly to fit into the main body and for full representation of various classic poses or high-speed motion.